One of a kind sepia toned photo in excellent condition 7 1/4 X 9 1/4"
This photo is the only known example of this image in original form that I have seen. This particular team would go on to compete in the tragic 1919 Stanley Cup Final vs the Montreal Canadiens that had to be cancelled due to the influenza epidemic that took the life of Montreal Canadiens Hall of Fame player, Joe Hall. The Seattle Metropolitans won the Stanley Cup in 1917 becoming the first American based team to do so. Most of that victorious team was still on the 1918-19 team pictured here. This photo is in very nice presentable condition. Small clip off bottom corner with some writing, capering and what appears to be practice signatures of player's wives on the back including that of Hugh Murray's wife. 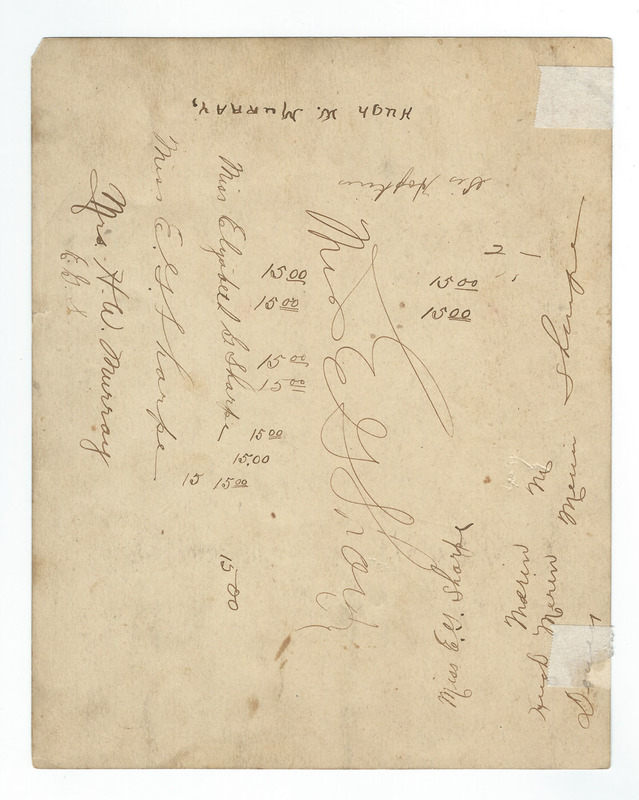 There is also a printed notation of Hugh Muzz Murray which may indicate that this was his personal copy of this photo. 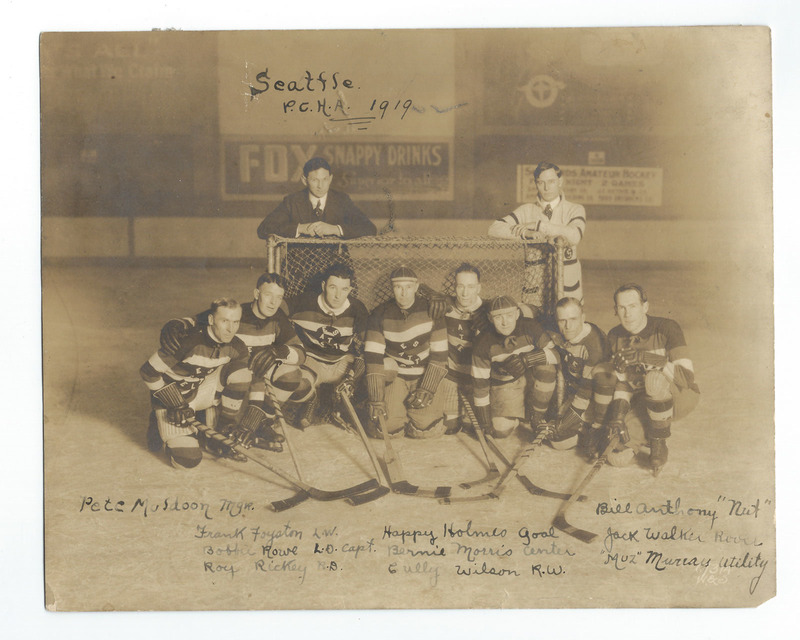 All the players are noted on the front and "Seattle PCHA 1919" is noted on the top.